Does my child need two-phase treatment? Two-phase orthodontic treatment involves two separate and distinct periods that your child receives orthodontic treatment. It allows your son or daughter to begin early treatment of bite and jaw problems, in order to reduce the dental issues he or she experiences later on. Two-phase orthodontic treatment with Dr. Wesslen can improve how well the second phase of the treatment works and helps to make room for permanent teeth. Overall, two-phase treatment helps to position the teeth and the jaw for an attractive profile. Our team at Wesslen Orthodontics recommends that you bring your child to our Visalia, or Tulare office at the age of seven or eight, so that Dr. Wesslen can determine if early (Phase-One) treatment is necessary. Phase-One orthodontic treatment is known as early treatment. 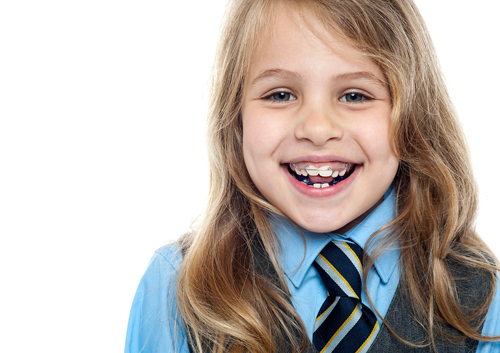 It begins shortly after your child’s first orthodontic examination, usually around age eight or nine. The main goal of Phase-One orthodontic treatment is to help make room for permanent teeth, which reduces crooked teeth as a result of overcrowding. It treats the jaw and bite growth, and issues like crossbite or underbite. This can reduce the need for your child to undergo extractions. Phase-Two orthodontic treatment is when braces are placed on the upper and/or lower teeth. The purpose is not just to correct spaces or misaligned teeth, but also to correct overbite or underbite concerns. Phase-Two usually begins around age 11 or 12, and the braces are worn for an average of two to three years, depending on your child’s unique needs. Some children have fewer issues and wear braces for little more than a year, while others need them for up to four years. Not all children need to have early treatment, but if your child shows any of these signs, you should bring him or her to us for an evaluation at Wesslen Orthodontics.